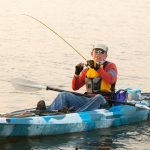 If you like your kids getting involved in fishing and now you are thinking about kayak fishing, then you probably want to bring the family along. 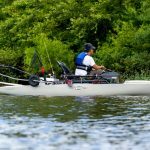 Once they see your kayak, they are sure to want to get involved. Let’s take a look at some of the essentials to think about if you want to get everyone on board. 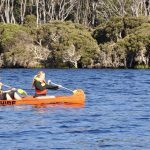 A kayaking course is great for anyone getting involved in kayak fishing. 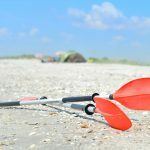 You will learn the basics of how to get more out of your paddle and you will learn how to safely recover from a capsized kayak. Kayaking is generally considered very safe. That is until something goes wrong. Even the strongest swimmers can get into trouble and need rescue. You need to know how to self-rescue and how to rescue others. 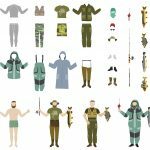 Many people think they should dress for the weather when they go out kayak fishing. In actual fact, it is more appropriate to dress for the water. Of course, you will need a personal floatation device. Children should always be bundled up in several layers. Wetsuits are always a great choice of clothing when you are out so close to the water. Knowing the water is not enough. It pays to know who else is going to be in the water. Know zoning restrictions, currents, hazards, wildlife and know the terrain. 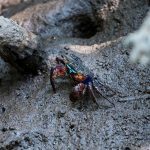 Is there anything you can add to this article? Let us know in the comments section below. Bill is as green friendly as they come. He's travelled the world, loves kayak fishing and camping.